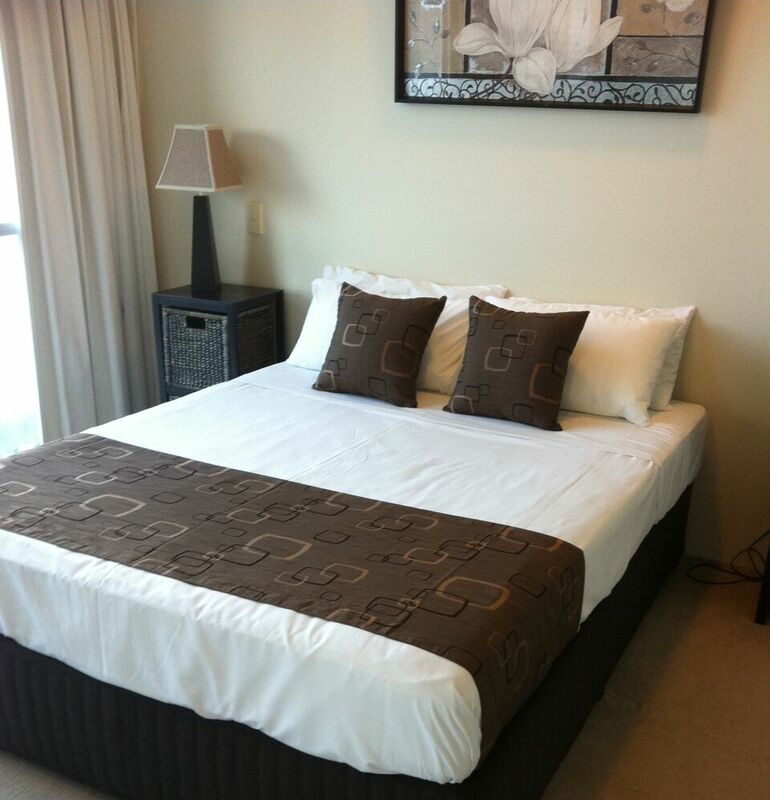 1 Bedroom – Queen bed. 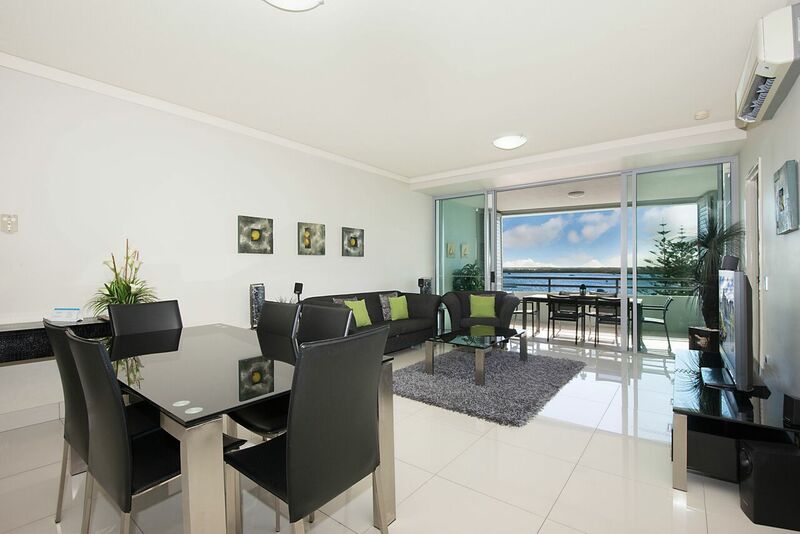 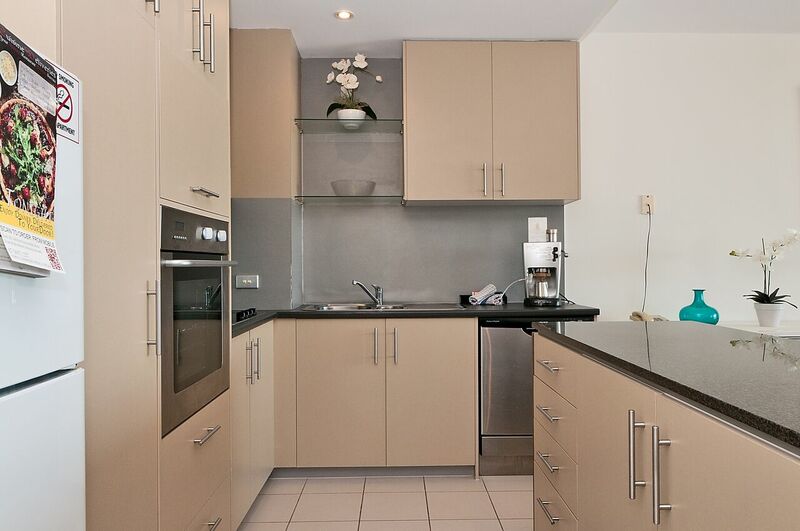 Open plan living area, self-contained 1 Bedroom water view apartment with stunning Broadwater views. 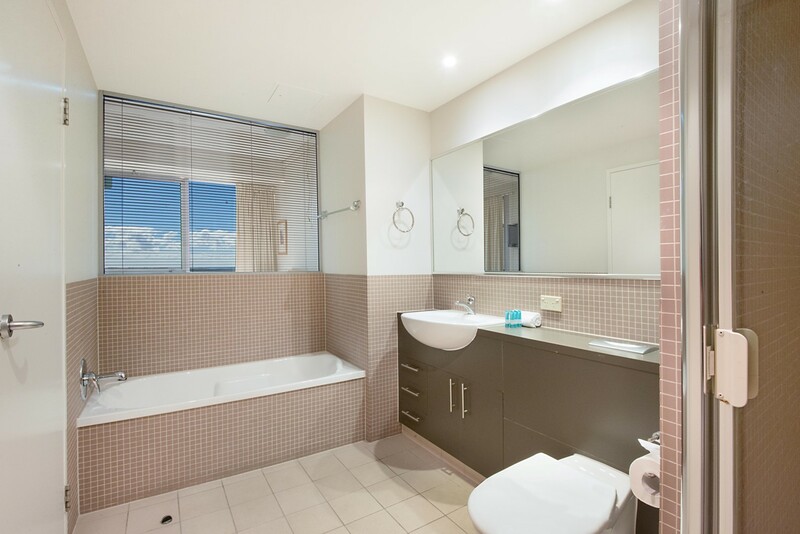 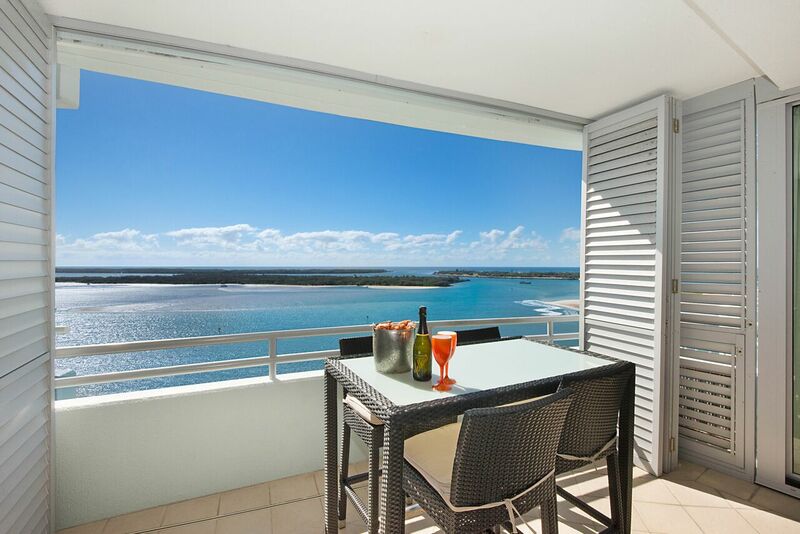 Relax and unwind on your private balcony featuring a private balcony with shutters, which can transform the balcony into another room for outdoor dining, relaxing and watching the gorgeous sun rise/sets Full kitchen & laundry facilities, two-way bathroom, wireless internet, Foxtel, air conditioned. 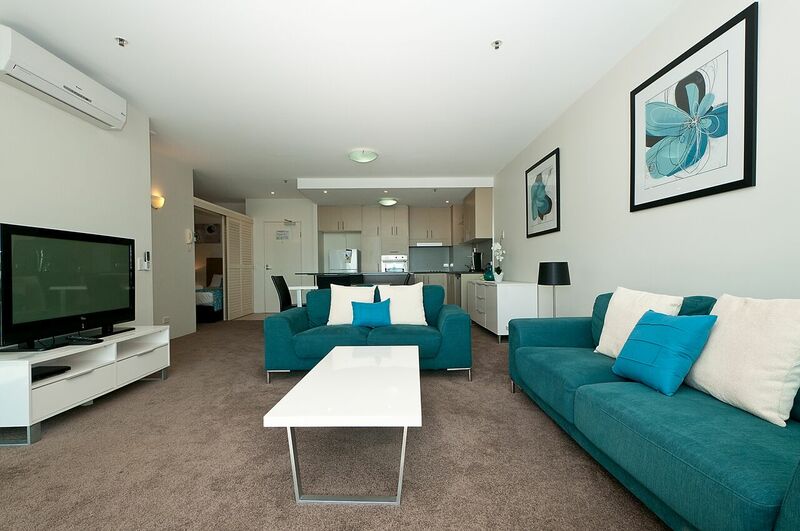 Full use of resort facilities & free car parking. 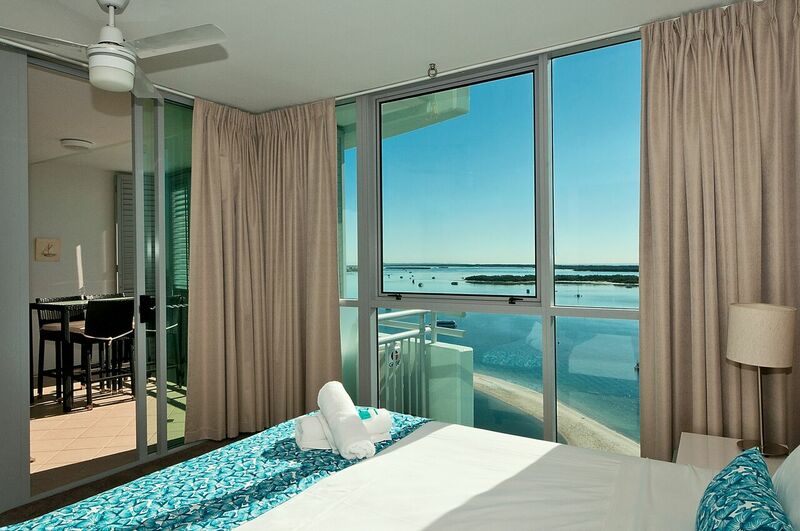 Sleeps 1- 2 people with a maximum of 3.